Here you will learn how to fix the error 5400 in Canon printers, follow the signs and if you have any other questions, type a comment. Fix the error P06 (5400 monitor) in Canon printers is simple, we must first know what this error means, and that has appeared. The error itself, its meaning is that the ink cartridge is overheated, ie its temperature up more than normal, it appears in the printers when one or two ink cartridges are empty or nearing completion. If you use continuous ink system, it is because the ink is not reaching the cartridge. To solve this problem, you must first of all know which of the two cartridges is the culprit, the first recommendation is to remove the cartridge and let them stand for a moment out of the printer. Turn the printer off and unplug at least 20 this help the cartridges a little. If you do not know the ink cartridges are powered by the heat emitted by the printer connectors, forcing these to inject the ink pressure linearly. 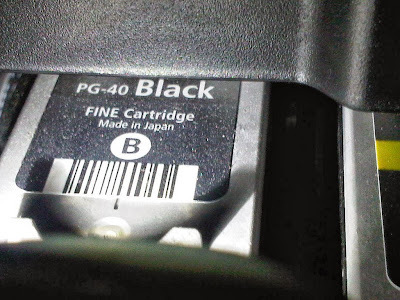 The ink inside the cartridges, despite working for print serves as a heat dissipating, if your ink cartridge is completely empty, or nearly empty, this error does not disappear, on the contrary will worsen and may burn the cartridge and not work ever. It is recommended to fill the ink cartridge, or change the cartridge with another, the sure that cartridge is the problem before changing, avoid buying a cartridge that is not necessary. If you have any questions about how to fix the error P06 Canon printers just write a comment in this publication will gladly help you, you may also be interested in our publication list of the most frequent errors in Canon printers.